1 Comment, How-to, by admin. When you need to see an image better you right click and choose View image. Since 2007 we were seeing the image in the top left corner on a white background. 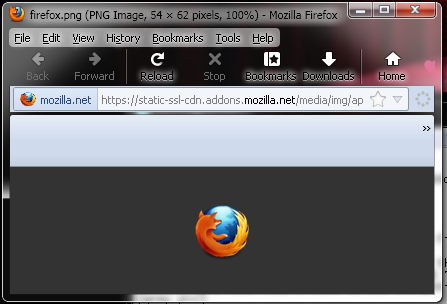 Now ever since Firefox 11 that got changed to a centered image with grey layout. Personally I hate that this. Why should I see everything with a grey background (#333 to be exact, it may be seen as black on a non-well calibrated monitor)? Instead they should have placed an option at the Firefox options.